SimXperience is the premier motion simulator manufacturer, and the company behind one of the best full motion simulators on the market today. The SimXperience Stage 5 Motion Racing Simulator provides a complete professional racing simulation for your home or your business. While we will not go into the details of the actual hardware, it can be said that a motion Simulator is as good as its Software engine. The Software engine is responsible for the simulators movement, and let’s face it, movement is what a Motion Simulator is all about. SimXperience produces its own software suite called Sim Commander. At this time the software is shipped in its 3th version. Sim Commander 3 is already a very powerful motion engine, but innovative as they are, SimXperience decided to start working on Sim Commander 4. The new version will bring you a host of innovative new features and capabilities that will make the best even better. At the moment the Sim Commander 4 Software suite is in beta test, and if all goes well, it should be ready for public release during the month of September. The Sim Commander 4 will be a free upgrade to current SimXperience product owners. 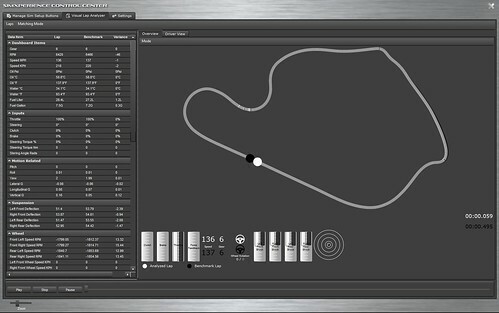 Next to the Stage Series racing simulator, Sim Commander 4 will also control the upcoming AccuForce steering wheel, the SimVibe tactile feedback system and GS-4 Gforce seat. Version 4 will be easy to use for both casual and advanced users with click and go features. Engineers can have a go at creating a fully customized simulation experience. Every aspect of the motion simulator is fully customizable such as acceleration, braking, lateral G forces, yaw, pitch, roll, rear traction loss and more. While these features where already in version 3, there is plenty more to come in version 4. Sim Commander 4 will introduce the ability to select a vehicle and venue for a given sim setup profile. 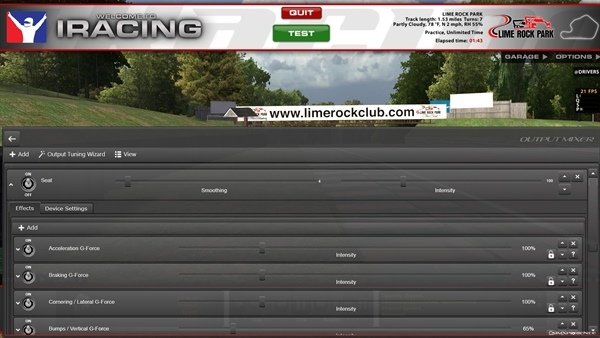 You can now easily assign the vehicle and venue as well as easily find a sim setup using either the new filtering mechanism on the main screen or on the control center. 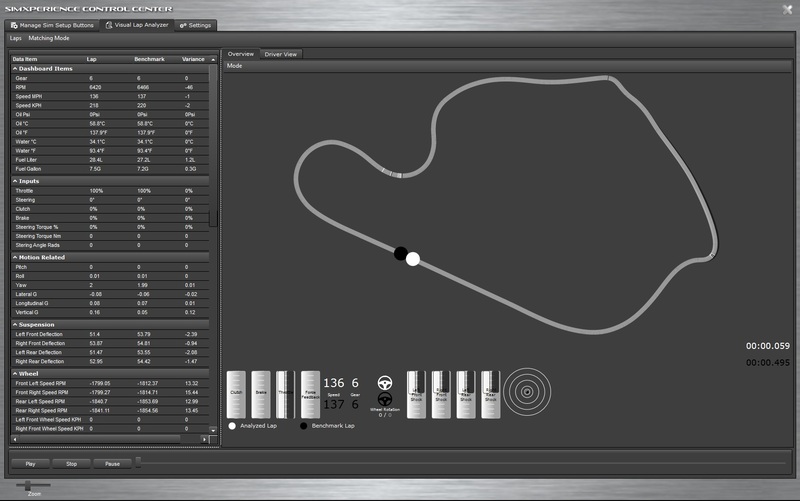 One of the big innovations is the built in telemetry recording and analysis function. 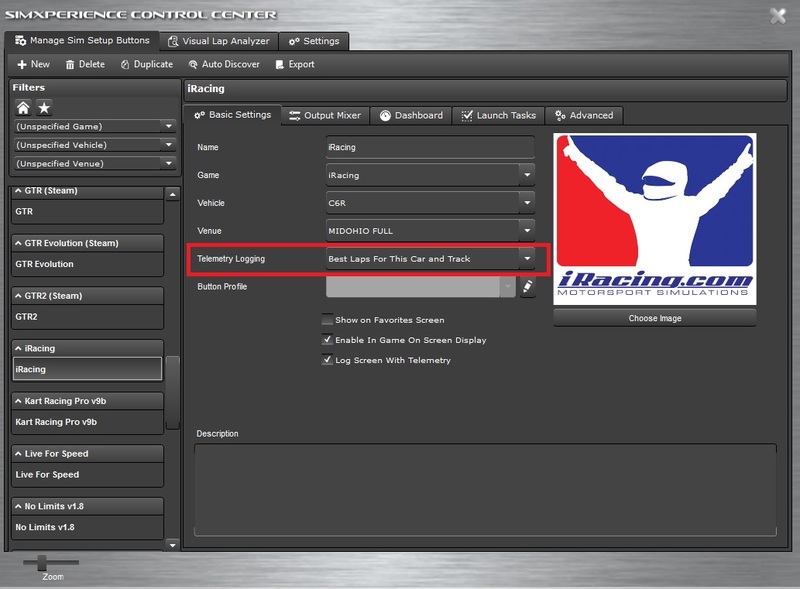 In Sim Commander 4, Telemetry logging is now a simple settings option on your sim setup profiles. By default, the Sim Commander 4 will automatically keep logs of your best laps for you! Another great feature is the ability to edit all parameters in-game by means of an onscreen display (HUD) function. All of this without interfering with the game that is running. This function will make the suite more userfriendly, but will also make sure future Oculus Rift users can access the Sim Commander software. A search and filter function will be built in. Although we’re still waiting on our Oculus DK2, it’s out intent to integrate the on screen display with the Rift, allowing Rift users to fully interact with their SimXperience system. No need to remove the Rift to see external monitors or button boxes! 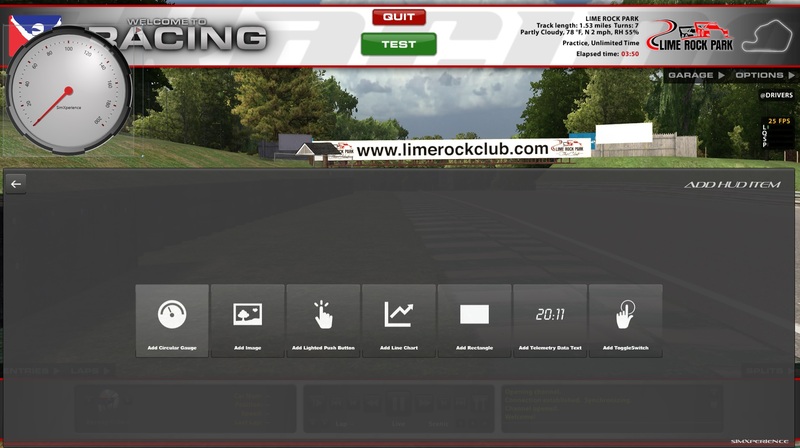 SimXperience Owners Club members who own a product ranging from a full motion Stage 5 racing simulators to a basic motionless SimVibe setup will be able to exchange Sim Setup Profiles via the cloud enabled Sim Commander 4 feature. 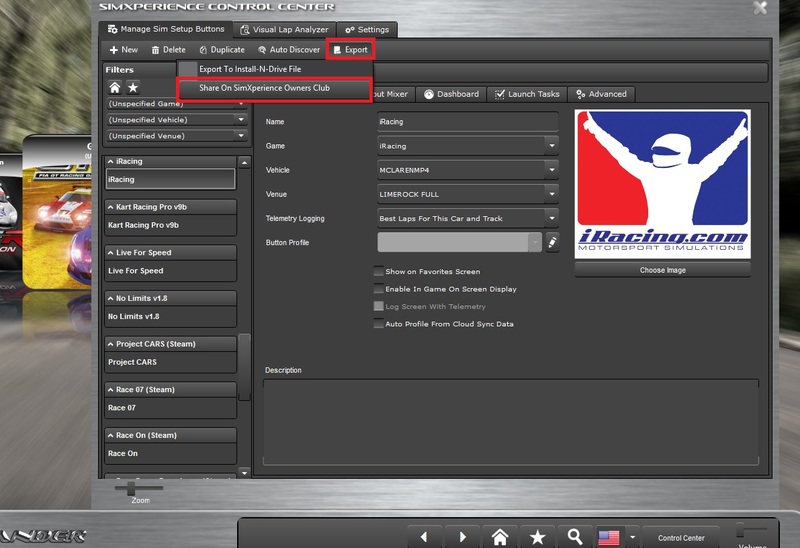 If you have a SimXperience.com account and have purchased a SimXperience product, then you have everything you need to access the Owners Club from within the Sim Commander software. sharing one of your Sim Setup profiles with the Owners Club community requires only a single click. (Sim Commander will still function without an internet connection) Once your sim setup profile has been shared, a new Owners Club tab will appear that allows you to view and respond to comments made by other Owners Club members. 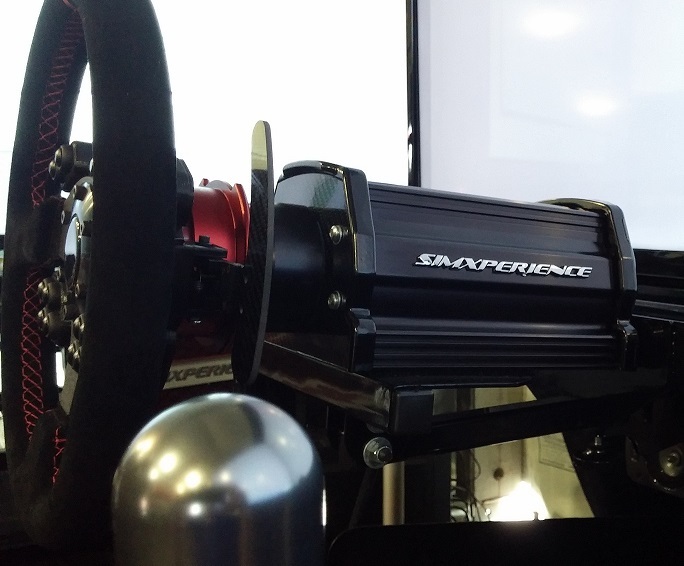 This week SimXperience also revealed a few more details about the upcoming Direct Drive AccuForce Pro wheel. SimXperience partnered up with Momo. SimXperience will be offering an optional Momo version of the AccuForce Pro. Initially, the Momo Mod 30, Momo N35 or the Momo Mod 88 will be offered, but AccuForce users will also be able to fit a Momo compatible wheel of their own choice. The AccuForce Pro Momo Edition wheel will be released later this year and should be in the $2000 USD price range.